Choose your favorite city or add your location (by tapping on the city edit field) and get a 5-day weather forecast provided by OpenWeatherMap. The data will be updated automatically or manually - only a mobile data connection is required. 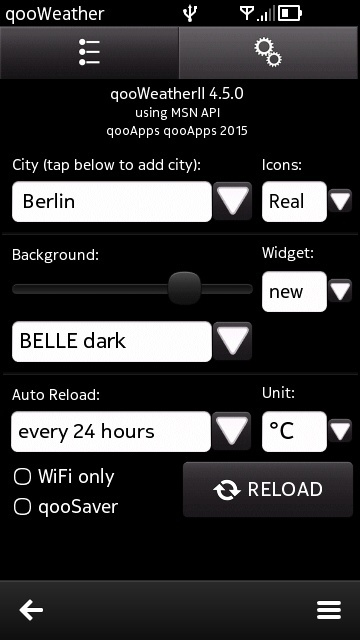 You have day/night, can choose between different widget layouts and change the transparency of the widget. Important: Start application first, then go to homescreen and add the widget.